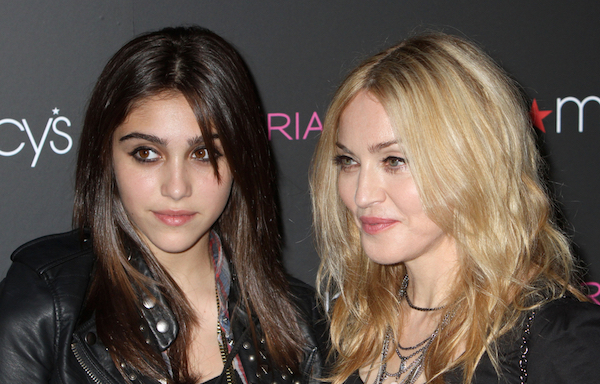 Madonna’s daughter Lourdes Leon made her runway debut with Gypsy Sport for its spring 2019 ready-to-wear collection. Amidst the cavalcade of FernGully-esque fairy children dressed in designer Rio Uribe’s nature–meets–urban goddess apparels was the 21-year-old singer. Leon graced the runway in a body-chain beaded shell bra paired with low-hanging over-ripped jeans, accessorized with tiny sunglasses and a vibrant green headpiece comprising leaves. According to Uribe, the daughter of the Queen of Pop had contacted him personally to ask if she could walk in his show. Check out her getup below. In other runway news, dancer Leiomy Maldonado lived up to her “Wonder Woman of Vogue” nickname in her epic walk that has become the talk of the town at New York Fashion Week.